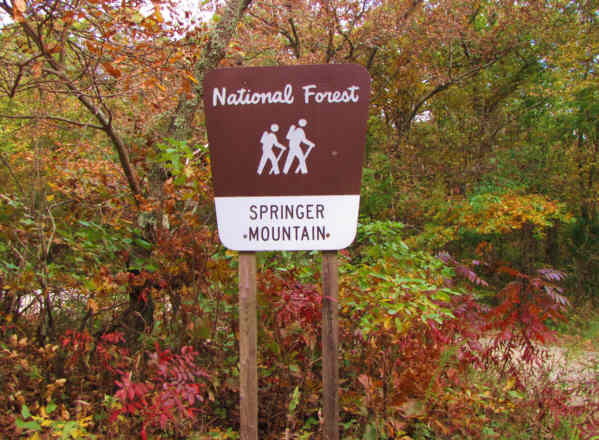 Today, we hiked to the summit of Springer Mountain, from Three Forks. 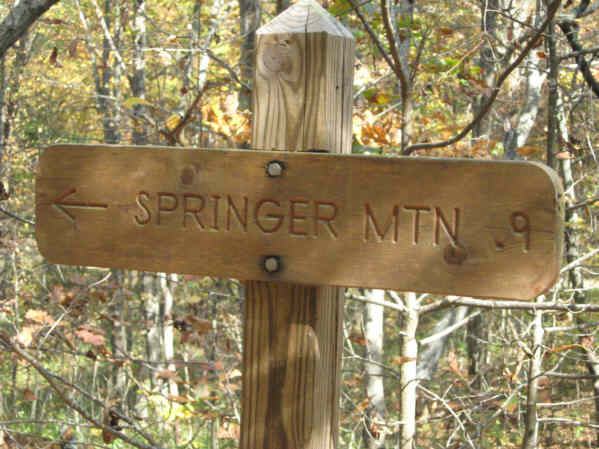 Springer Mountain is the southern terminus of the Appalachian Trail. 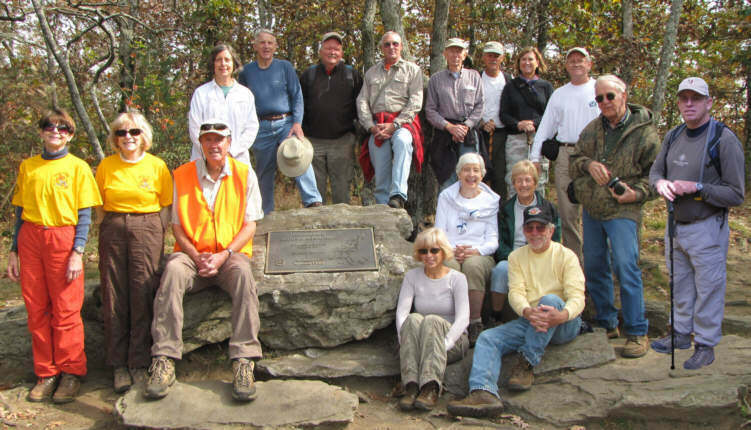 HIKERS: John Bellamy, June Bellamy, Thomas Bowers, Karen Brown, Phil Brownrigg, Greta Driggers, Jim Driggers, Pam Euliss, John Mooneyham, Jeanne O'Connor, Don Preece, Donna Presley, Tony Presley, Vic Robson, Pom Sinnock, David Whitaker and Geri Whitaker. 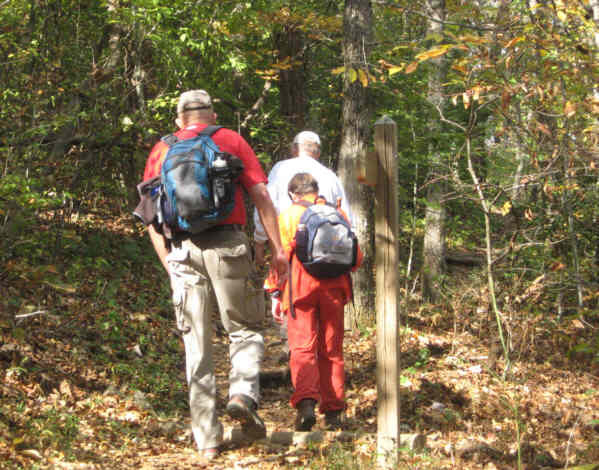 TRAIL INFO. 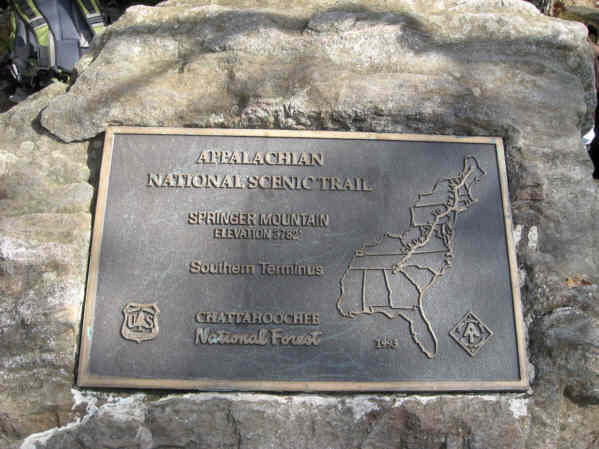 - This portion of the Appalachian leads to one of the two most recognized landmarks of the A.T., Springer Mountain, GA. 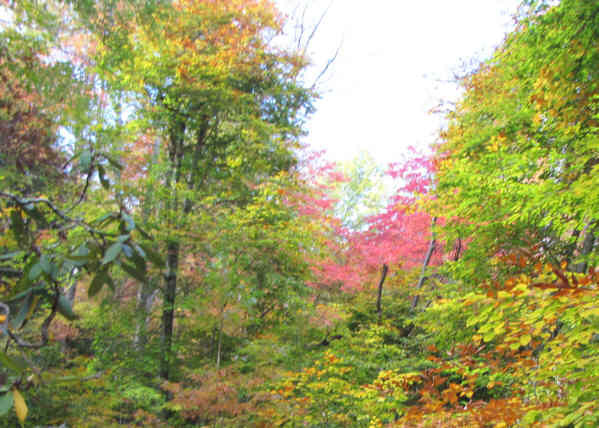 The southern terminus of the A.T. can be reached from Amicolola Falls State Park, 8 miles. 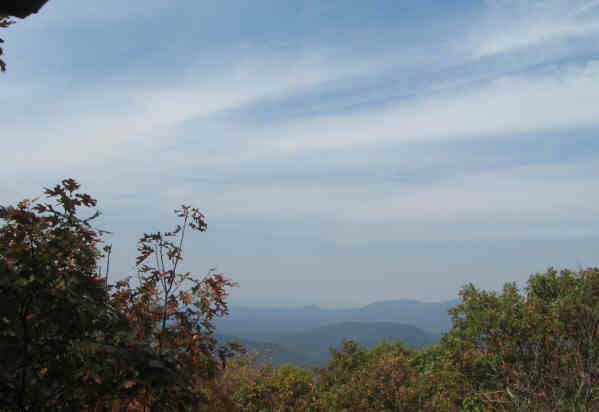 or from forest service rd. 42 one mile or further down the road from Three Forks 4.1 miles. 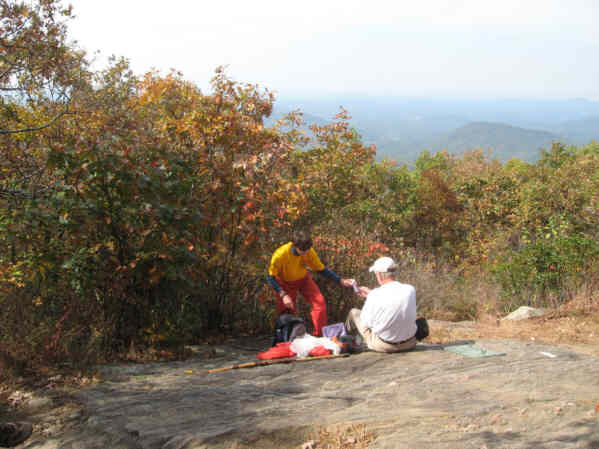 Another great day for a hike! 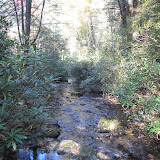 Mostly Sunny and cool with temperatures ranging from 55 to 72 degrees F.	Total distance hiked - 8.2 miles. FLOWERS IS BLOOM: Blue Aster, White Woods Aster, White Snakeroot, Wreath Goldenrod, Silverrod, Mountain Gentian, Stiff Gentian and Lady's Thumb. BIRDS IDENTIFIED: Red Eyed Vireo, Nuthatch, Blue Jay, Chickadee, Pileated Woodpecker, Turkey Vulture, Red Shouldered Hawk, Yellow Billed Cuckoo, Crow, Titmouse. .
OTHER FAUNA: chipmunk and Grey Squirrel. Scroll down for photos and video from today! 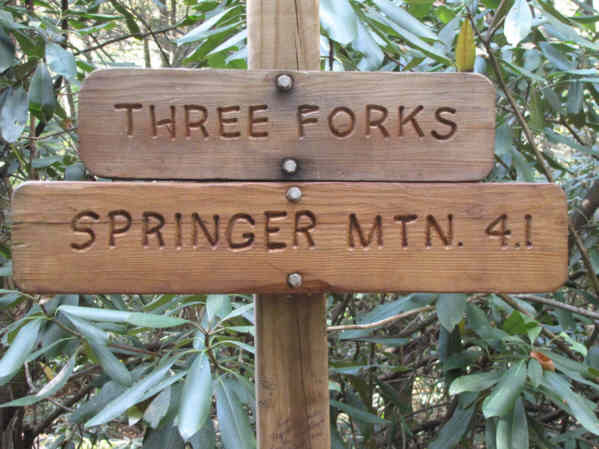 Trail sign at Three Forks. 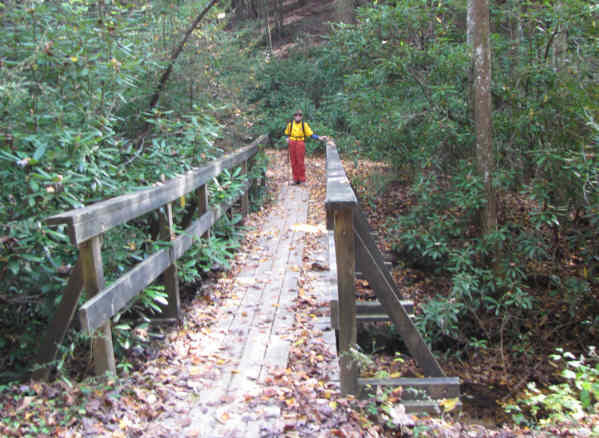 Crossing the bridge near Three Forks. 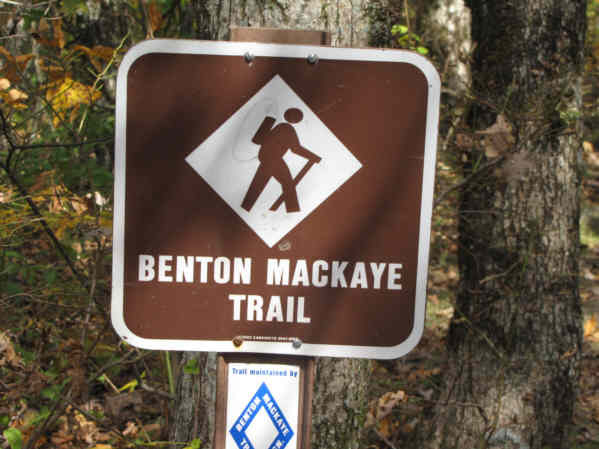 In this area, the Benton Mackaye Trail intersects the A.T. in several placeas. 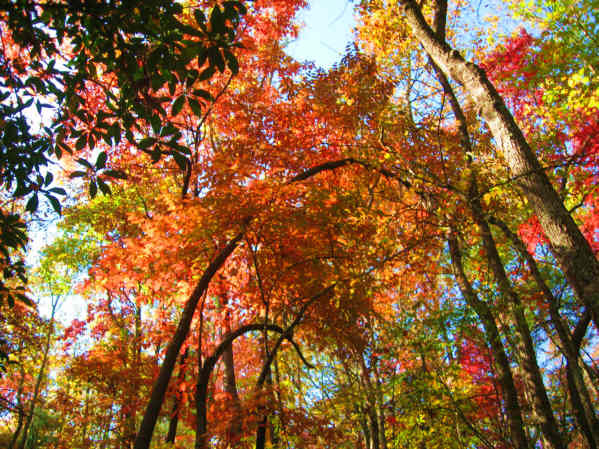 Fall colors are getting nice! 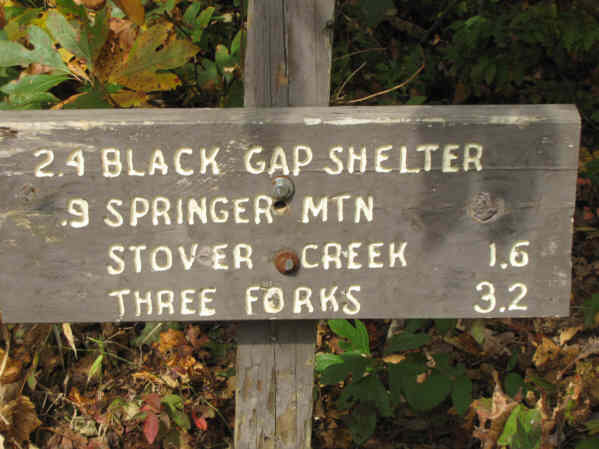 Trail sign at the forest service road below Springer Mt. 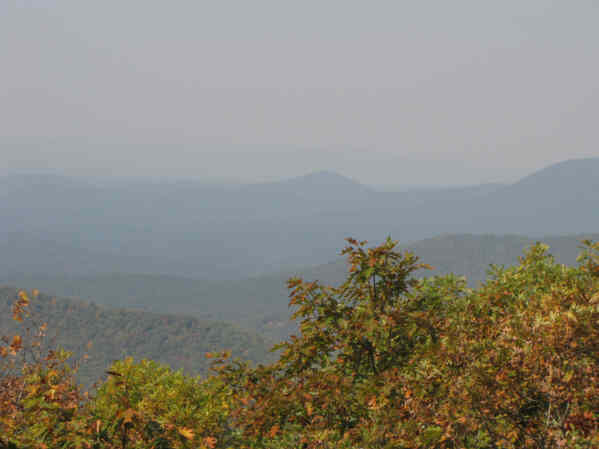 A beautiful sight for all southbound thru-hikers! Sign at the forest service rd. below Springer. 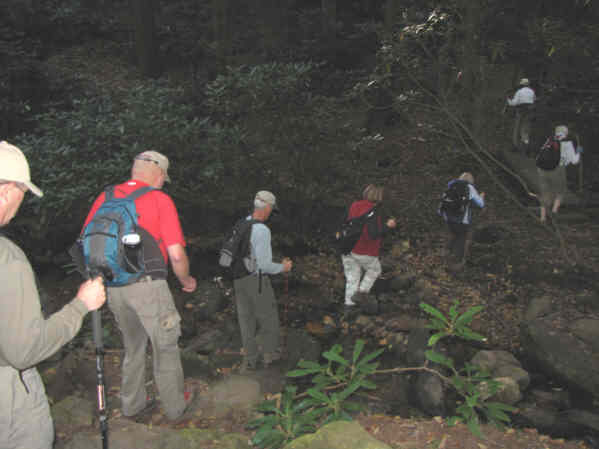 The OFHC gang for today's hike. (l-r) Donna Presley, Geri Whitaker, Pom Sinnock, Karen Brown, John Bellamy, John Mooneyham, Don Preece, Pam Euliss, Phil Brownrigg, June Bellamy, Jim Driggers, Greta Driggers, Jeanne O'Connor, Vic Robson, Tony Presley, David Whitaker and Thomas Bowers.